The Spring Summer Fashion Pakistan is cut short from three to two days. The organizers had their reasons for cutting the event short. There are many fashion weeks held every year in Pakistan. However, organizers know the routine well enough to ensure that they go as per plan. There have been reports of events not starting on time, and councils make every effort to meet the deadlines originally set. The dates for any fashion week in Pakistan have announced way ahead of schedule. FPW’s digital team had sent an email announcing dates of 22nd, 23rd, and 24th of February for the upcoming fashion week. The email said that this event was expected to be one of the biggest Fashion Weeks ever. It is high time that fashion organizations in Pakistan need to take their schedules seriously. The council must have assure its plan for organizing the event for three days instead of reducing it two. While explaining the reason behind this change CEO of FPC Nida said that the council was shifting its focus on producing quality fashion events in Pakistan. She also added that they had great designers showcased at this upcoming fashion event. She also explained that FPC would showcase some of the Millennial designers in August 2017. The CEO also expressed her desire to give free slots to the deserving yet talented designers. FPC also plans to bring in external jury to watch the show and shortlist designers who will be given scholarships by the council. This scholarship will help these upcoming designers to hone their skills and showcase their work at the next FPW. 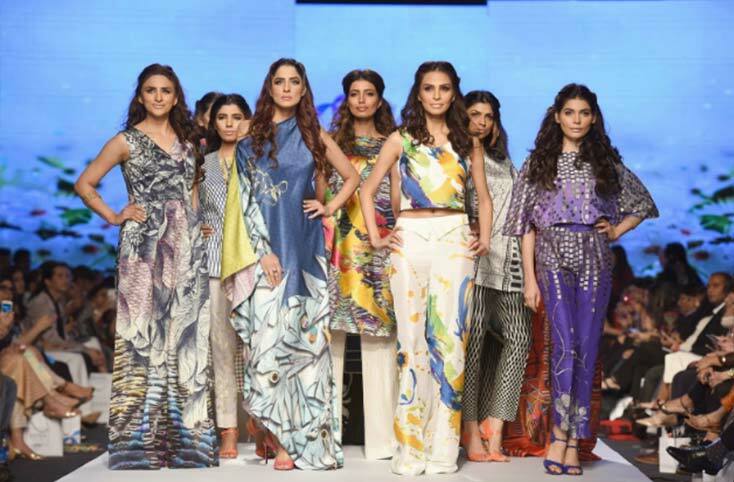 FPW has given Pakistan some of the world’s top clothing designers. Success stories of fashion designers from Pakistan include labels like Zaheer Abbas, Adnan Pardesy, Nida Azwer, and Feeha Jamshed. However, despite the reason of quality over quantity given, FPC needs to do a better job at organizing fashion shows in Pakistan. It does not look good that fashion organizers in Pakistan cannot deliver to the deadlines they set by themselves. Also, by reducing one day, less number of designers would be able to show their work.